Is the Adoption Process in the USA Longer Than Most? I am always amazed at how hard it is to answer what should be the easiest questions. Like, is the adoption process longer in the United States than most countries? I didn’t know if I should look at this question from the standpoint of adopting as a U.S. Citizens from other countries or how long other countries adoption process takes. I managed to figure out a way to cover them both! I know we are only one statistic in the large pool, but we waited almost six years for our adoption to become a reality. Let’s explore what the “norms” are. There are a few types of adoption we should consider. First, adoption from the foster care system within the United States can be a shorter or longer period. Of course, every situation is different. The end result in foster care is not always adoption, its aim is family reunification. That is why it could take longer to adopt from that route. It could always be shorter if reunification is not possible. This type of adoption can take anywhere from a few months to a few years. Another option is domestic adoption. 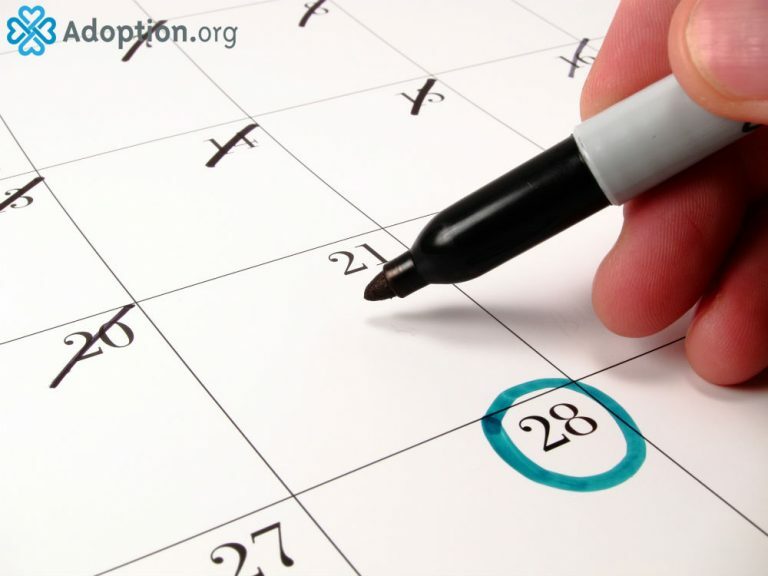 There is a good amount of work that goes into each adoption, which is why it can take longer. In the United States, there are several background checks, paperwork, and home studies to complete. Which means that it is hard to say exactly how long the adoption process will take. It too could take anywhere from a few months to a few years. Lastly, there is international adoption while residing in the United States. It can take a shorter amount of time if you have all of your necessary paperwork completed, and know from which country you want to adopt. Though, international adoption can take even longer because you must comply with all of the United States’ requirements, and also the requirements of your child’s birth country. Make sure you look into each country’s requirements before deciding from where you would like to adopt. With the research I did in writing this article, I found that internationally adopting a child takes the same time as adopting domestically. For instance, in Canada, the process can take anywhere from nine months to nine years. The process in Germany and France can take the same time. I was surprised to find out the wait is not that much longer, if at all, in the United States. Of course, there are a few things to help speed up the process, if you are willing. One of them is ethnicity. As adoptive parents, you can be “selective” on the race of the child you are adopting. If you are willing to adopt a child of any ethnicity, you are opening the selection to more children which could result in a faster adoption. It is the same with gender. If you are open to adopting a child of any gender, your wait could be shorter. Also whether or not you are willing to have an open or closed adoption could speed up your adoption process. Again, every adoption has a uniqueness to it. Did you adopt intercountry? How long was your wait?